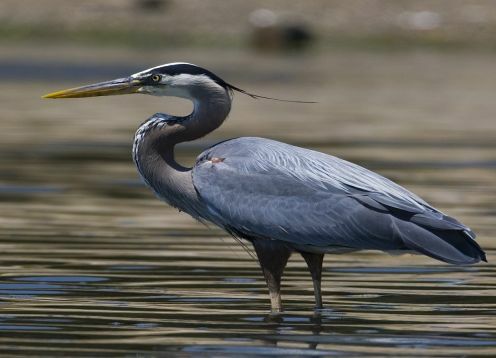 Of all the herons that inhabit their natural distribution in North America, the Gray Heron (Ardea herodias) is the largest; in length this heron achieves between 97 cm. and 1.30 meters. 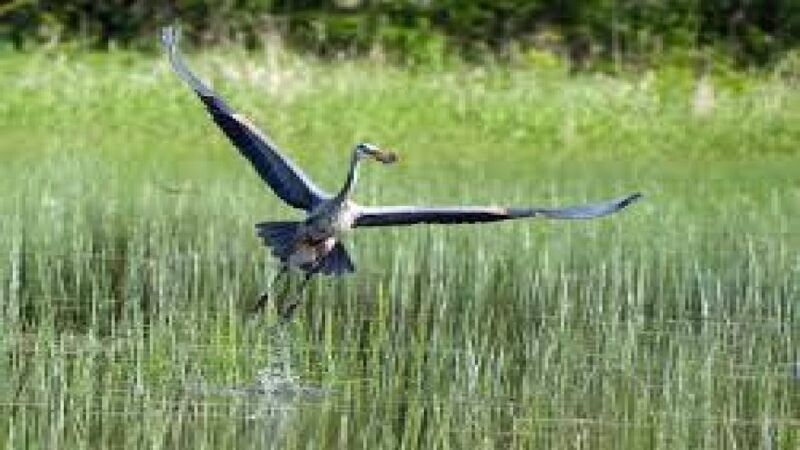 In this continent it occupies a place equivalent to that of the Black Heron in South America. 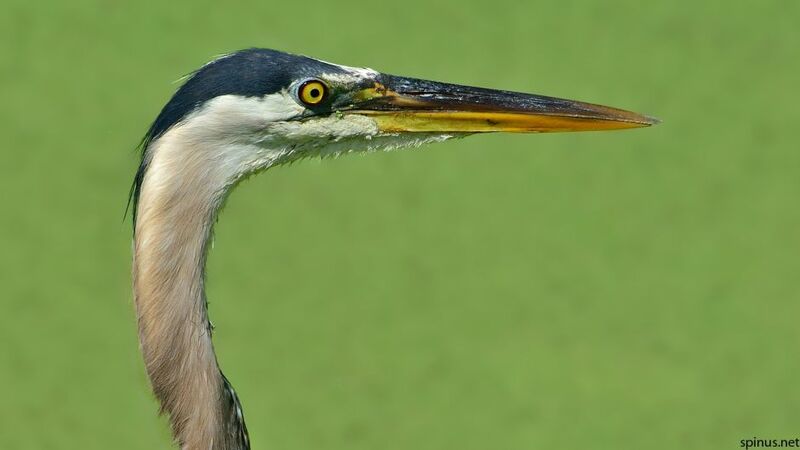 The body of the gray heron has gray, blue and white feathers. 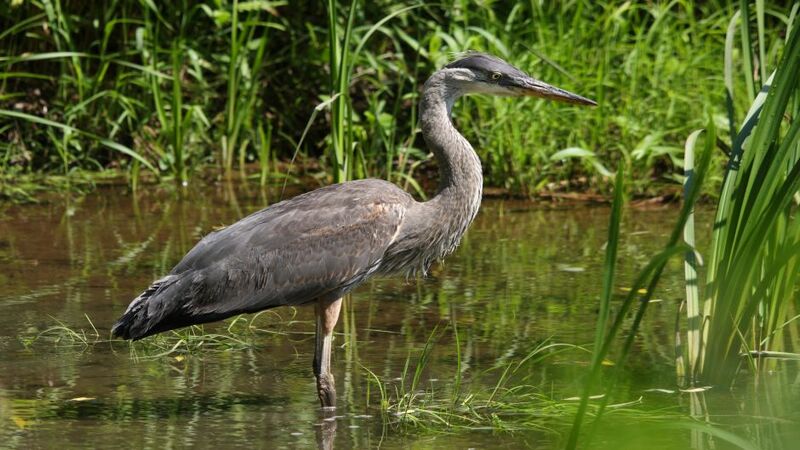 They have a long, thin, reddish neck, a narrow, brown or black head on top of it. 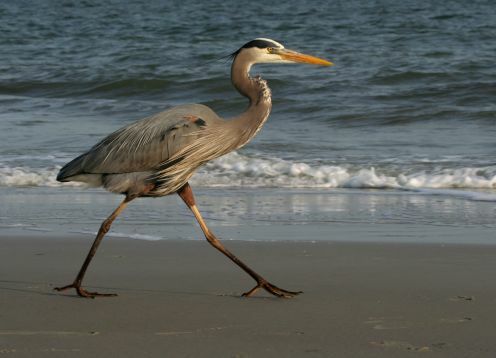 They also have a bright orange beak, sharp claws on their legs. His legs are robust and of a yellowish color.